Do you buy Axial polyester & polypropylene film capacitors? 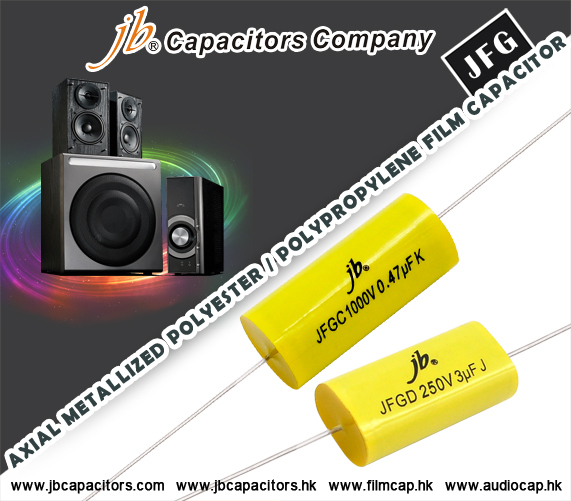 Our JFG series are axial lead polyester & polypropylene film capacitors, widely used in loudspeaker, amplifiers ...manufacturers all over the word. Welcome to send us inquiry or part number , we would like to quote our best price or cross for you. 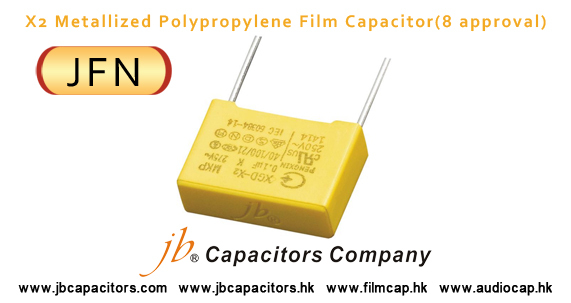 Are you looking for high quality Preminum metallized Polypropylene film capacitors? Used for high quality loud speaker , amplifier and high-end audio products! 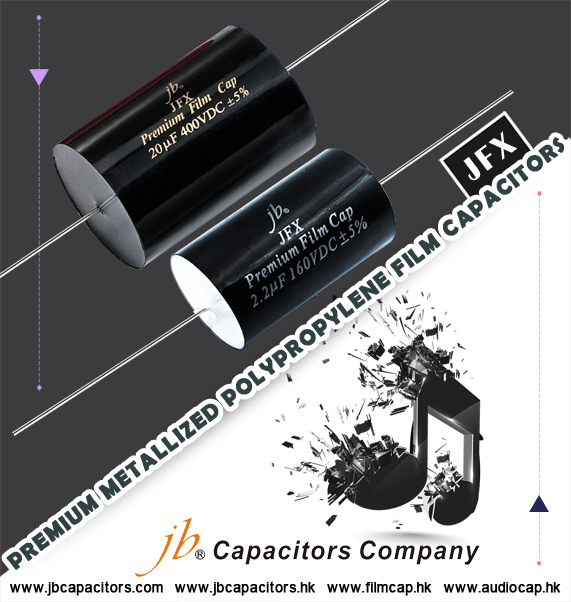 jb capacitors mightily recommend JFX series to you! ---Preminum Metallized polypropylene film capacitors, Axial. Don't hesitate to send your inquiry! This capacitor really can benefit you much! jb Capacitors Company ist ein professioneller Hersteller von Folien-und Aluminium-Elektrolyt-Kondensatoren seit 1980. Wir verkaufen zu sehr günstigen Preisen Top-Qualität aus China. Folien-Kondensatoren: Polyester, Polypropylen, Polystyren Folien-Kondensatoren. 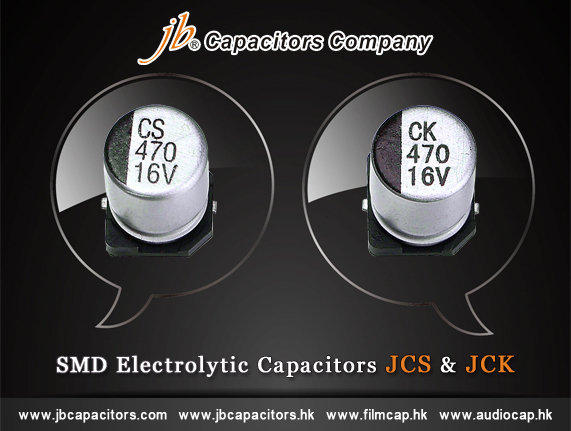 But JB X2 lead time is only 5-7 weeks, for common value like 0.1uF even can meet 4-5 weeks. 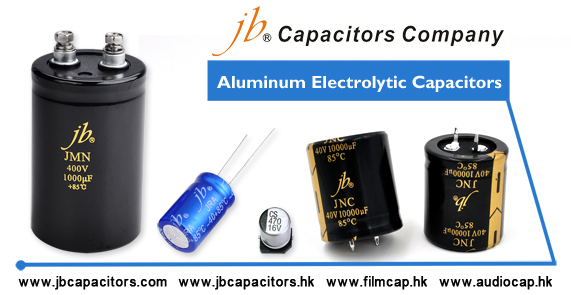 Jb Capacitors produce MKT, MKP, X2 film capacitors and electrolytic capacitors. 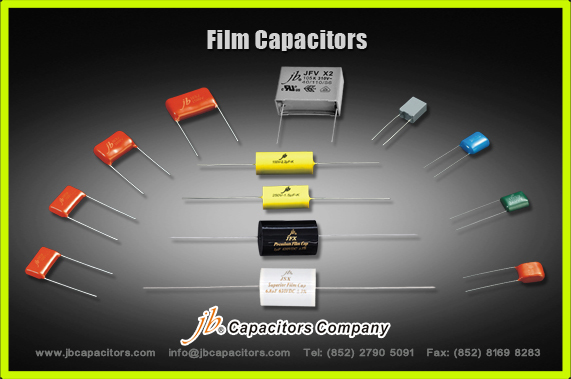 We have cross for above mentioned brands, we produce and sell under jb capacitors brand. Currently for X2, below is most popular items we sell, widely used for Power supply, lighting products, and power meters, how about you ? Aluminum electrolytic capacitors may cause an explosion, fire, or other serious trouble if not used under specified operating conditions. Please familiarize yourself with the instructions given below before using these capacitors Operating temperature and ripple current. 1. Keep the operating temperature and ripple current in specified ranges. Applying an excessive current to a capacitor will overheat it, resulting perhaps in short-circuit, ignition, or other fatal fault. 2. A capacitor is also a heating component itself. Please be on guard, remembering that it heats up the inside of the equipment. Run the unit under normal conditions and check the temperature of the surroundings of the capacitor. 3. The permissible ripple current tends to decline with a rise in the atmosphere temperature (the temperature of the surroundings of the capacitor). Consider a permissible ripple current at the maximum predictable atmospheric temperature. Allow also for the changes in frequency. 1. Capacitors have polarity. Applying a reverse voltage or AC voltage to a capacitor may cause a fire or other fatal fault. 2. Use a bipolar capacitor for circuits whose polarity reverses. However, in this case, like any other case,refrain from using such a capacitor in AC circuit. 3. When an AC component is superimposed on a DC voltage, prevent the peak value from exceeding the rated voltage. An excessive voltage may cause a short-circuit, fire, or other fatal fault. 4. When connecting more than one capacitor in parallel, consider the resistance of the wiring. Establish the connections so that the wiring resistance will be equal at every capacitor. 5. When more than one capacitor is connected in series, all capacitors must be of identical ratings. Then connect the balancing resistors in parallel. At that time, design the circuit so that the voltage levels applied to all capacitors become equal.Check that the voltages applied to capacitors do not exceed a rated voltage. 6. Do not use such a capacitor for a circuit that is repeatedly charged and discharged quickly. If you are to use such a capacitor for a welding unit or for other charging and discharging purposes, use a capacitor designed on a separate basis. 7. Even slow recharging may shorten the service life of a capacitor if its voltage changes greatly. Check it sufficiently as installed on a larger machine or consult Capsun. 1. Do not connect the blank terminal (reinforcing terminal) of a multi-terminal (three- or four-terminal) product of the snap-in type to another circuit. It may cause a short circuit. 2. The external sleeve of the snap-in type has no insulator. If you need a sleeve with an insulator, consult Capsun. 1. A splash of water, salty water, oil or other electrically conductive liquid on a capacitor or using a capacitor when it has dew on it may cause a breakdown. Oil on the rubber sealing or safety vent may cause a decline in airtightness. Do not use a capacitor with liquid on it. 2. Do not use or leave a capacitor in a place where there is a hydrogen sulfide, nitrous acid, sulfurous acid, chlorine, bromine, or other halide compound gas, ammonia, or other hazardous gas. The ingress of any of the aforementioned gases into a capacitor may corrode it. Avoid fumigating and spraying an insecticide as well. 3. Do not use or leave a capacitor in a place exposed to ozone, ultraviolet ray, or radiation. 4. Do not use a capacitor in a place where vibration or impact is excessive. 1. Do not reverse the polarity. Do not use a capacitor to which a reverse voltage is applied, even if it looks problem-free. It must be greatly damaged. 2. Do not tighten the curled part (case sealed part) with a mounting fitting or otherwise stress it. Any such practice may cause a liquid leak or sleeve breakage. 3. Dropping or otherwise impacting a capacitor may result in a decline in its electric performance,causing a breakdown. Therefore do not cause an impact on it. 4. Do not reuse a capacitor which has been installed on a machine and energized. No capacitor can be reused except for those removed to measure their electric performance for a periodic checkup. 1. Do not make the safety vent (cap side) of a screw terminal type face downwards. The safety vent may let the electrolyte or compound leak. 2. Do not install a wiring or circuit pattern near the safety vent. When the safety vent is activated, the electrolyte may jet out, resulting in a fire or other secondary accident. 3. Avoid installing a heating part around a capacitor or in back of a printed wiring board (beneath the capacitor). 4. Do not hamper the activation of the safety vent. Above the safety vent (where a screw terminal type is installed on the terminal side, or snap-in type on the case bottom), allow for the following clearances. 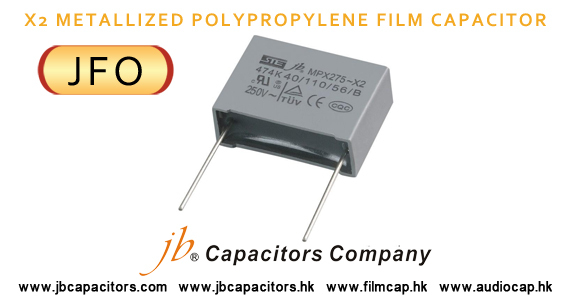 jb capacitors produce MKT, MKP, X2 safety metallized polypropylene capacitors since 1980. 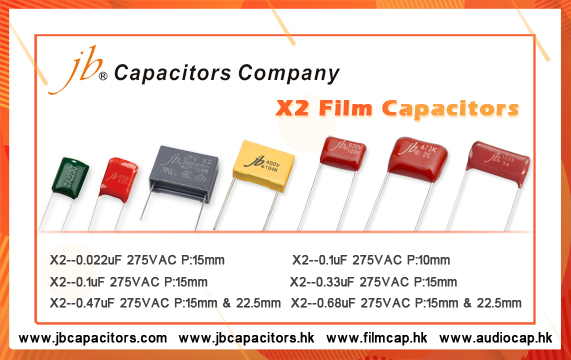 We are going to stock some X2 capacitors, and provide better delivery support to you. Do you have interest ? Could you please send us the X2 capacitors requirements ? Then we will keep stock for you. You are welcome to request samples and quotation from us too. 2) Quantity per shipment, per month or per year. 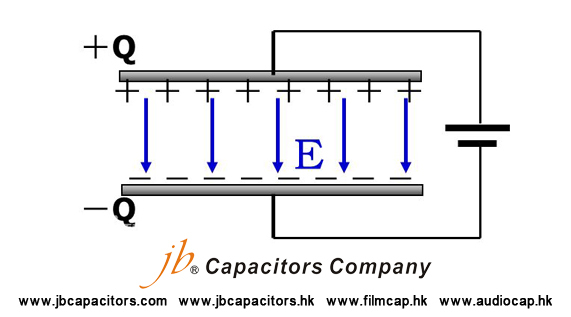 Capacitor is an electromechanical device capable of storing electrical energy (electrons). It differs from a battery, as a battery produces electrical energy as a by-product of chemical activity. A capacitor can function in a circuit like a battery. Or a resistor, or an inductor, for that matter. It can also absorb energy, turning some into heat. A farad of capacitance is a lot of capacitance. In high voltage, we generally deal in microfarads (mfd.) or picofarads (pf) which are one millionth of a farad and one millionth of 1 millionth of a farad, respectively. Infrequently used, a nanofarad is one thousandth of a microfarad. el poder de proveedores y aplicación de la luz. Cruz Arcotronics R46, Epcos B81130, Vishay MKP3382, Wima MP3, Panasonic ECQU.